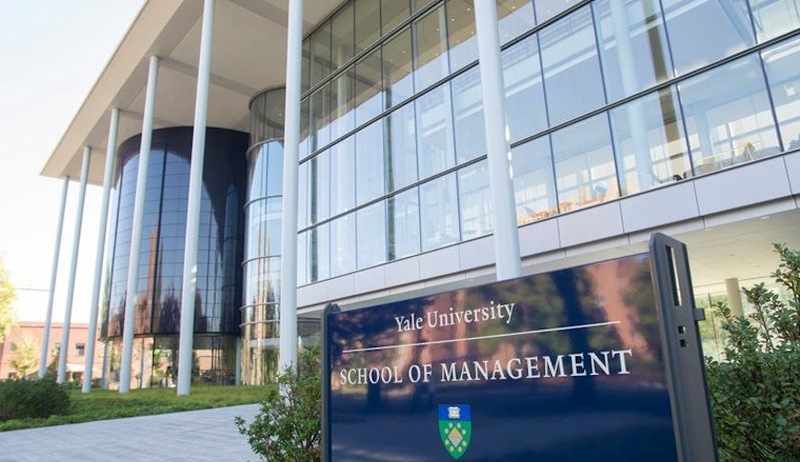 Free Yale MBA Essay Samples | Aringo consultants are the top in the world! The biggest commitment I have ever made is to learning the Spanish language. From a young age, I learned that Spanish, with over 500 million speakers in a number of countries worldwide, would be a crucial language to learn in an era of increasing globalization. In addition, I recognized that Spanish-speakers represented a rapidly growing portion of the U.S. population, and developing my proficiency in the language would serve me well no matter which career path I chose. I soon found that Spanish became my favorite class. In high school, I had the opportunity to host a Chilean exchange student, Agustin, who did not speak any English. My Spanish proficiency paid off, as I quickly befriended Agustin and the other Chileans in his program, and decided to study in an exchange program at his school in Santiago. I fell in love with Chile during my time there, and my exchange experience inspired me to pursue a global career, and to study international affairs in college. While my favorite class, learning another language does not come without its difficulties. When I hosted Agustin in the United States, and later, traveled to Chile, we met significant challenges. Studying abroad in another country, especially one where few speak any English, led me to realize my Spanish proficiency was not at the level I had thought. Living in Chile with a host family forced me to not only learn advanced verb tenses such as the subjunctive tense, it allowed my to develop advanced comprehension skills. I learned that in order to master the language, I would have to become comfortable conversing with native speakers from all Spanish countries, as many countries frequently use slang. Without understanding slang, in a country where slang is frequently used, one cannot consider themselves fluent speakers. This same principle applied to legal jargon when I worked at a law firm. While researching litigation across the Spanish-speaking world, I hired a personal tutor to smooth over my remaining grammatical deficiencies, and to better understand convoluted legal processes. I consider this personal tutoring instrumental to my development of full professional proficiency. After reaching this achievement, and engaging with the Latin American community in the United States, I realized I wanted to build on my devotion to the language, and extend it to the Latin American region. Yale’s dedication to diversity and its unique opportunities catered to my passion for Spanish and led to my decision to pursue my MBA at Yale. In particular, I find that the program’s division into cohorts and learning teams would be the perfect way to meet students from all over the world. Additionally, I hope to actively engage with Yale’s Global Network for Advanced Management and participate in an exchange or take courses at universities such as INCAE. Finally, the opportunity to take electives across the university at large, such as courses at the Jackson Institute for Global Affairs, would provide an excellent supplement to a best in class business education as I pursue my goals. I come from a family of seven kids: Tristan, me, Rae, Mario, Ysa, Jr, then Angel. My mom has been divorced twice, and my grandmother stood in as a second parent for most of my formative years. People, things, and ideas have come and gone in my life, but my family has always been there for me. Supporting them has been my biggest commitment I have ever made. I grew up in a small rural town in the southern island of the Philippines. My mom and my grandmother believed that a good education was essential, so in 4th grade, my brother Tristan (who is three years older than I am) and I moved to Manila. We traveled 700 miles from home because Manila had better schools with more structured curriculum. Unfortunately, my mom worked for the government in our rural town, and her salary was the sole source of income for our family. Therefore, she could not come with us, so my brother and I were alone in Manila for three years, with occasional visits from Mom. We figured out how to get around and budget our weekly finances. When I was in 7th grade, my mom was able to move herself, my grandmother, and my other five siblings to the city. The move was a great shock to my family because the way of life was different and the school was significantly advanced and more rigorous. I wanted my younger siblings to do well in their classes, so I helped them complete their homework and learn Tagalog, the local language. My mom was busy trying to find a new job; even though she never asked, my brother Tristan and I took on the responsibilities she did not have time for. We brought our younger siblings to school and picked them up, attended parent teacher conferences, and helped them study for their quizzes. Sometimes it was hard to balance; I remember a night I needed to prepare for my final exams, but my sister Rae needed help finishing her science project. She wanted to understand the effect of guava leaves on blood clotting, so we purchased pig’s blood from the market and performed an experiment. Afterwards, I studied all night for my exams. Looking back, I am thankful for the values my mom and grandmother instilled in me. Looking out for my siblings made me independent and driven. In order to help them, I had to do better myself: I learned to write; I became more understanding of each sibling’s learning style; I learned to look towards the future and to plan next steps. Two of my younger siblings are now finishing college, while three will finish high school in the coming years. Soon, I want to go home. I am hoping that with my undergrad education, current work experience, and by pursuing a Yale MBA, I will gain the skills in finance, business strategies and management that I need to lead and grow my family’s bank in the Philippines into a Southeast Asian force. I hope that with this, I can continue to help my siblings and family pursue new opportunities. How can you improve your Yale MBA Essays?